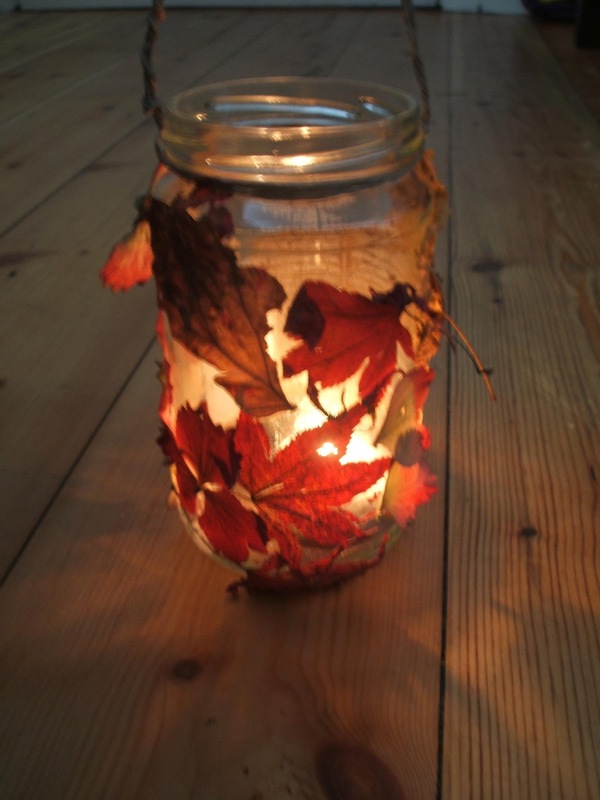 The children were asked to take a piece of double sided tape and stick it around an empty glass jar in a spiral motion. 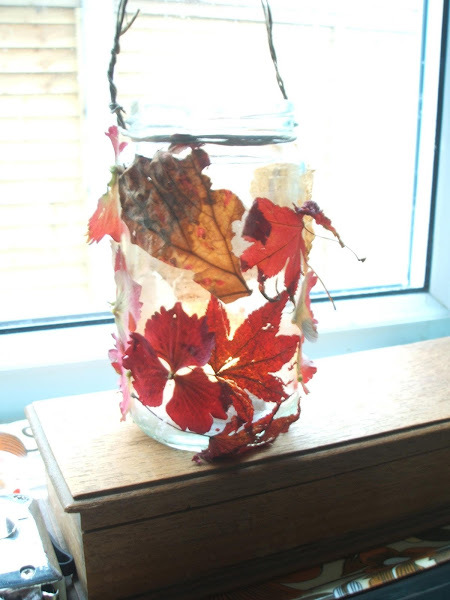 Once the backing tape was removed, it left a sticky surface for the children to attach the leaves to the jar. Once they had squeezed on as many leaves as they felt happy with, the adults added the wired twine. I think it may be called Bindwire and used by florists. I found some here from oasisfloral.co.uk. 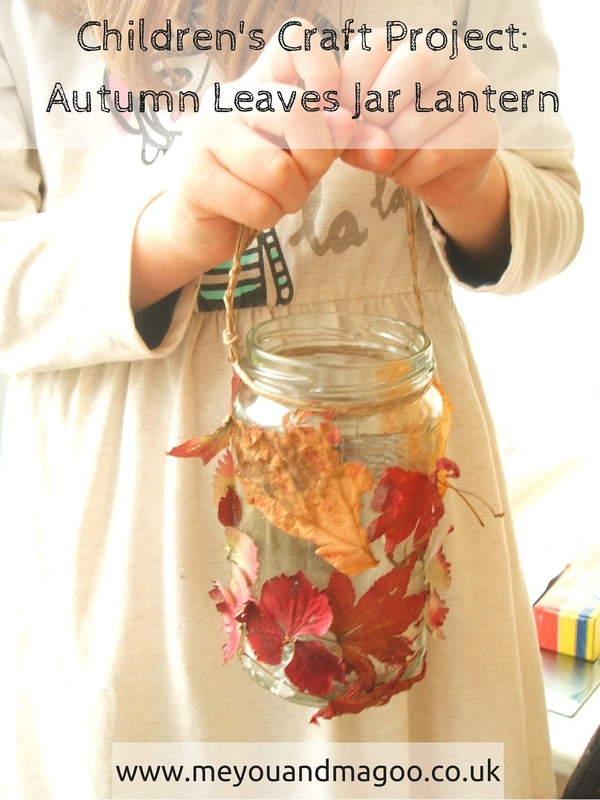 The adults twisted the twine to create a handle for the lantern. The children loved making the lanterns and took them home at the end of the day. I think they look very appealing once they have a candle glowing inside. Magoo and I added some Hydrangea petals to our jar once we were home. 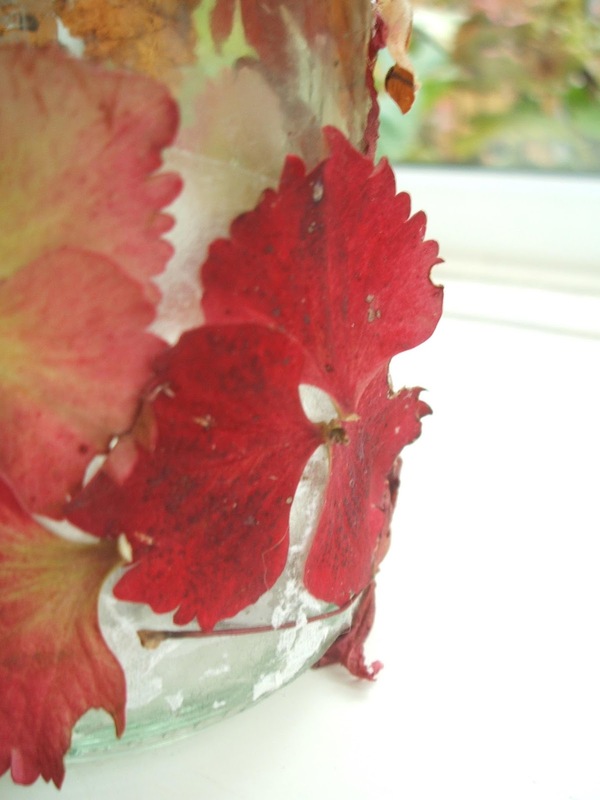 In the Autumn the Hydrangeas in our garden turn a beautiful maroon shade. we couldn't resist adding them in amongst the leaves. 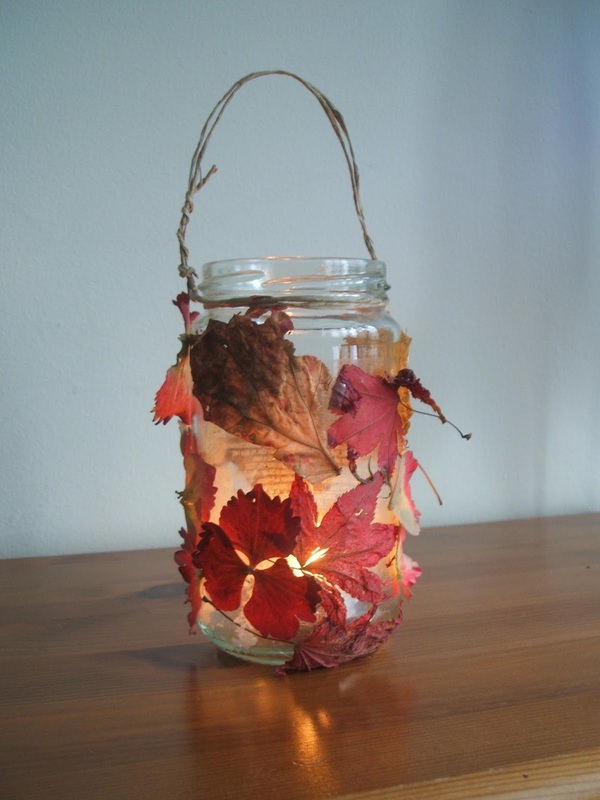 Oh this is a lovely idea - obvs I am LOVING the use of hydrangea petals! I'll try this with Kit and Ozzy at the weekend - thank you for sharing and the inspiration! Beautiful. I love lanterns and making a leaf lantern is so pretty. 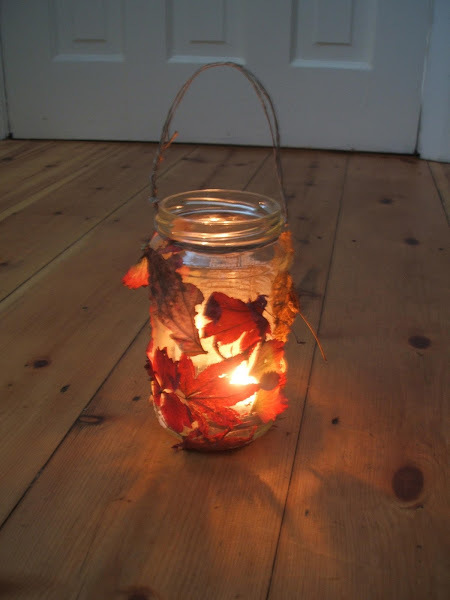 These are lovely, and so simple to make as well!